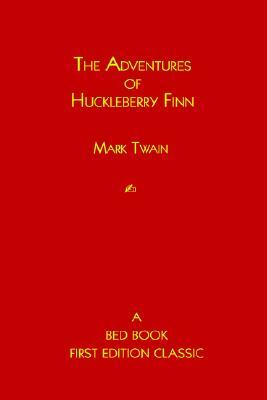 Mark Twain's" The Adventures of Huckleberry Finn" in the revolutionary Bed Book Landscape Reading Format - a new approach to reading in bed as well as other places people enjoy reading while lying down, such as the beach, or on a grassy lawn in the park. Bed Books provide the freedom to lie in any comfortable position without being obligated to sit up in order to read. They can be an essential aid for readers who may be prone to back and neck strain when assuming the contorted body positions normally required for reading while lying down, and for those who have previously found it difficult or impossible to read books in bed, such as the elderly and the disabled. Bed Books can also be read sitting up as easily as with a conventional book. See the current Bed Book Catalog at: www.bedbooks.NET www.readinginbed.com.